How to dress up your pet this Valentine’s season? 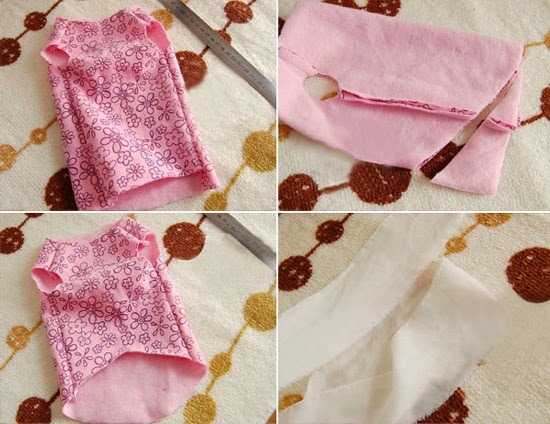 Here is a great tutorial where you will learn how to take a piece of beautiful fabric and turn it into a great looking dress for your cute companion. 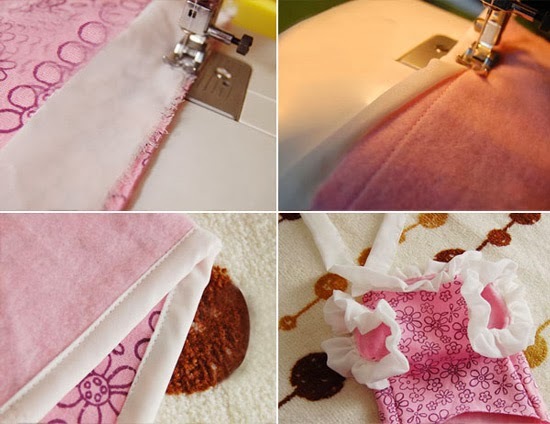 Floral fabric and chiffon are chosen for DIY dog clothes. 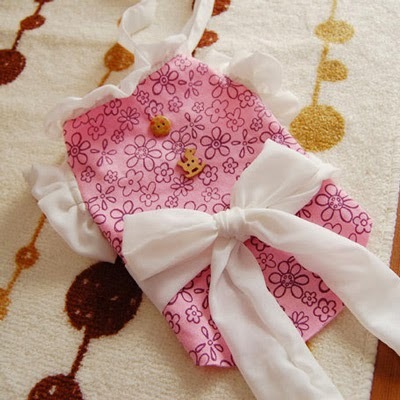 This kind of cool and fresh dog clothes pattern is specialized for the female dogs. 1) Cut the fabric. Select a piece of floral fabric in your favorite. Trace the template by measuring the body size of your dog; cut out the template. Overlap the two pieces as below. Cut out the shoulder and cuff; triangle shoulder and semi-circular cuff. 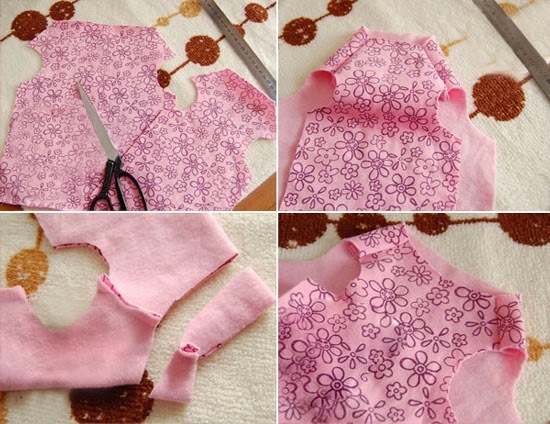 3) Go on sewing the lower part of the clothes at the inner side; turn the right side out. 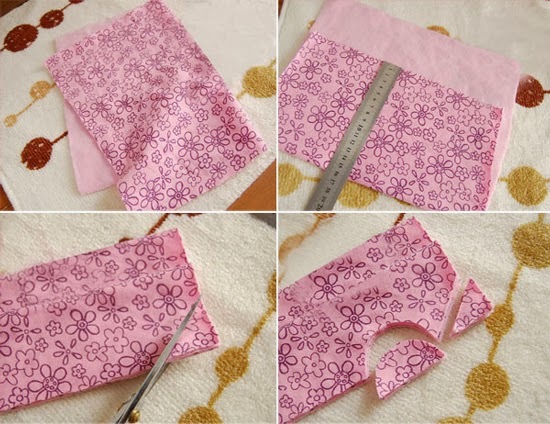 Fold the clothes at the sides with the inner piece out; cut out a triangle at the hem as it is shown below. Turn the shape inside out as the image shows. Cut out a chiffon strip. 4) Hem the cuffs and collar. Align the chiffon strip with the collar fabric; sew the edges. Fold the chiffon covered place in half inwards; sew the folded edges; leave redundant chiffon at the collar. Hem the cuffs in the same way. Make sure all the chiffon strips are stitched with drapes.